1. To reveal the managerial and technical proficiency of UG and PG students. 2. 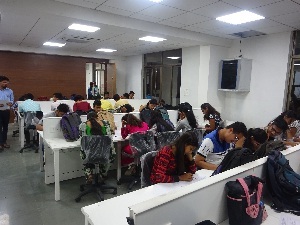 To develop ability in students to work as team with analytical and creative mind. 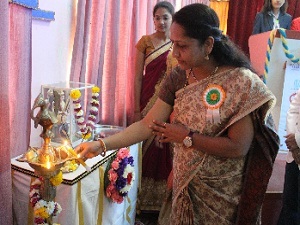 Chief Convener: Prof. Anjana Arakerimath. 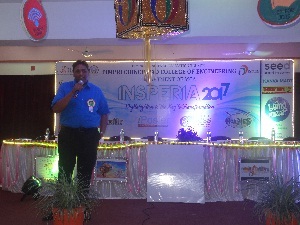 There are four events organized under Insperia-2017. Out of these events, two were Technical Events, one was Management Event, and one was Fun event. 1. 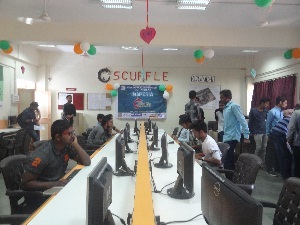 C-Scuffle (C-Programming Contest): This event was organized specially for Under Graduate students. The students from UG courses like BCS, BCA, B. Sc. 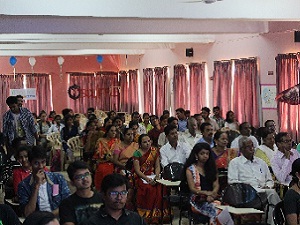 Computer Science from across the Maharashtra participated in this event. 3. 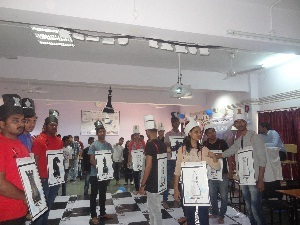 Human Chess: This event was team management event, organized for both UG and PG courses. 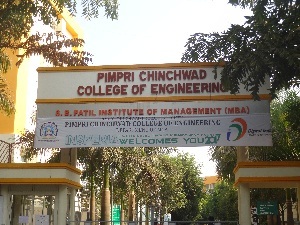 The students of all the UG, PG courses from across the Maharashtra are participated in this event. 4. Roadies: This event was fun event, organized for all UG and PG courses. 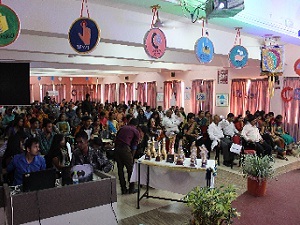 The students of all UG and PG courses from across the Maharashtra are participated in this event. 1. Round-I of C-Scuffle was successfully conducted at UG colleges like MIT Arts, Commerce and Science College Alandi, Rayat Shikshan Sanstha Dr. Babasaheb Ambedkar College, Aundh as a promotional activity. Around 140 students actively participated in this. 2. 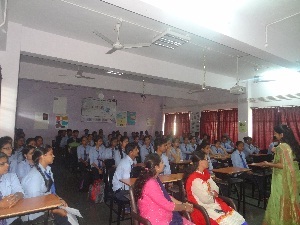 More than 500 students were participated from different places like Latur, Satara, Nanded and Pune. 1. 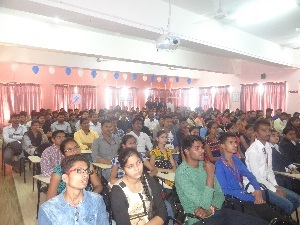 Promotional Activity carried out at different UG colleges. 2. Digital Media Publicity through Facebook advertisement. 4. Inaugural Address by Mr. Samarth Phadnis, Technical Development Manager– HCL System on ''Enterprise Digital Transform - Road Map''. 5. Student of MCA created Mobile App and Website for the Registration of all events. 6. Students have given ''e-Invitation'' to all members. 7. Students designed ''Working model of Digital India'' to support the theme. 8. Students of MCA designed Posters, Banners, etc. 9. 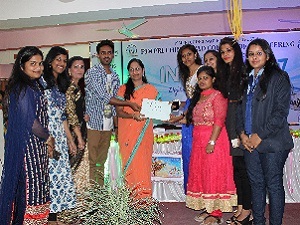 Students also prepared Videos for the publicity and promotion of Insperia-2017 and to support Social Theme ''Digital India''. 10. Students have taken ''Digital Awareness Drive'' by demonstrating paytm facility to the needy people of society like shopkeepers and rickshaw drivers. 11. We received sponsorship of Rs. 19,000 in Cash and of Rs. 22, 90,000 in Kinds, and Registration Amount around Rs. 33,200. 12. 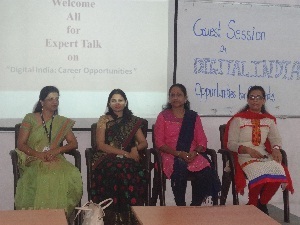 A guest session was organized by the department to support the Digital India theme for the MCA students on ''DIGITAL INDIA – Opportunities for students'' on 7th Feb 2017 by Mrs. Sadhana Ghalsasi, MITSOT, Pune. 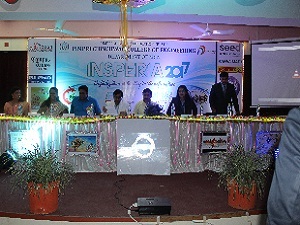 The inaugural function of Insperia-2017 was organized on 17th Feb 2016 at 10:00 AM in Seminar Hall of PCCoE. 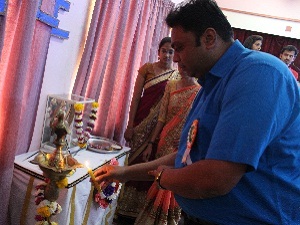 Mr. Samarth Phadnis, Technical Development Manager– HCL System on “Enterprise Digital Transform - Road Map” was the Chief Guest for the Inaugural function. 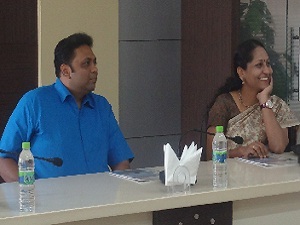 The student anchors Ms. Ankita Pardeshi and Mr. Allan Mascarenhas, welcomed all the dignitaries and student participants with the thought “We Keep Moving Forward, opening New Doors and doing New things because we are curious and curiosity keeps leading us down new paths and so leading us to Digital India”. There is a fuel in us which needs to be ignited with sparks by creating a platform like INSPERIA 2017. 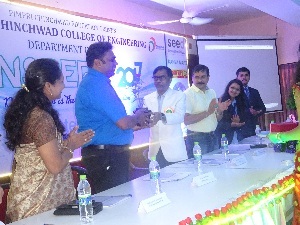 The formal inauguration started with the lamp-lightening ceremony and welcoming of all the dignitaries – Mr. Samarth Phadnis, Dr. A. M. Fulambarkar, Principal, PCCOE, Prof. Shitalkumar Rawandale, Dean III and Prof. Anjana R.A., Chief Convener. 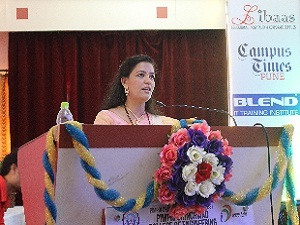 Prof. Poonam Katyare, Faculty convener, welcomed all the dignitaries present on the dais, and more than 500 student participants all across the Maharashtra through her welcome speech. Principal Dr. A. M. Fulambarkar addressed to the student participants by untiring efforts made by the students from MCA department. Sir highlighted on the importance of planning, coordinating, and controlling and motivated the students to keep up high pinnacle for every year of Insperia event. 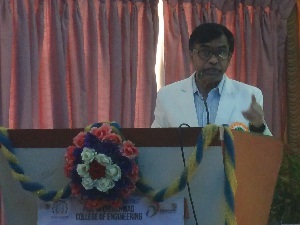 Sir also highlighted various sectors in IT industry, on which students need to explore and work for their future. His speech helped to sprout up the inner confidence and hidden talents in our students. The main attraction of the inaugural function was the speech by Chief Guest Mr. Samarth Phadnis, Technical Development Manager– HCL System. In his speech he briefed us about the innovation in IT. He encouraged us to support our theme of “Digital India”. 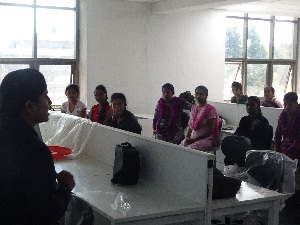 He also brief students about various innovation going on in IT and students needs to think differently. He also brief about frugal innovations and different sensors for innovations. The inaugural function is completed with the vote of thanks proposed by Ms. Merlin Mathew, Student Convener of the event. The inaugural function concluded with the National Song Vande Mataram. 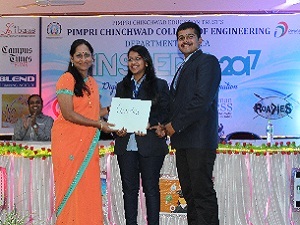 The valedictory function was organized on 18th February 2017 at 5:30 PM. 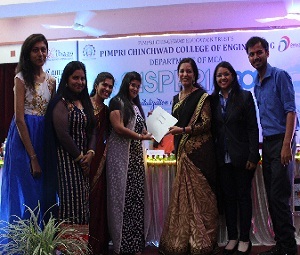 The anchors Ms. Ashwini Nambiar and Ms. Jenu James welcomed all the dignitaries and students participants for the valedictory function. The Valedictory function started with felicitation of our sponsors of Insperia-2017. 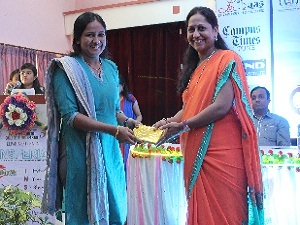 Our Head of Department Prof. Anjana R. Arakerimath felicitate all our sponsors with thanks. 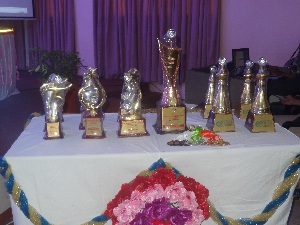 The Prize Distribution Ceremony started with awarding the winners of C-Scuffle. 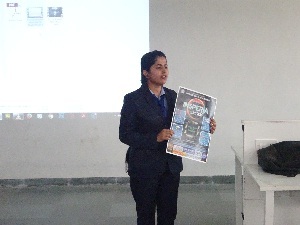 Our HOD gave away the prizes of C-Scuffle. 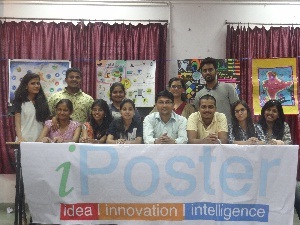 The next event awarded was IPoster. 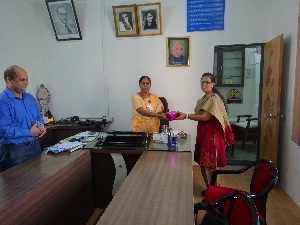 Our faculty member Prof. Bali Khurana gave away the prizes of IPoster. Next the winner of Human Chess was awarded by Faculty Convener Prof. Poonam Katyare. 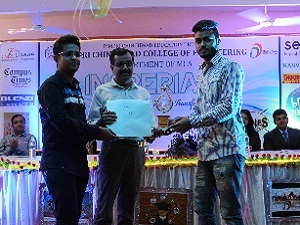 Then the winner of Roadies was awarded by our Faculty member Prof. Prashant Kulkarni. 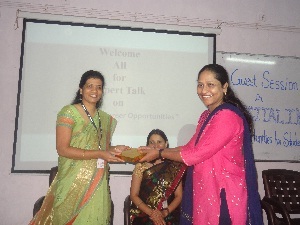 Lastly the Overall Trophy was awarded by our HOD Prof. Anjana R. Arakerimath. 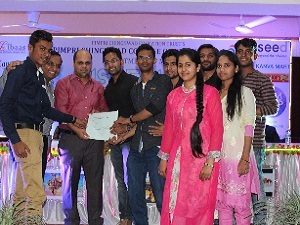 Then Prof. Anand Jain, Prof. Rajkamal Sangole, Prof. Sopan Aghav, Prof. Prakash Ukhalkar, Prof. Suchita Borkar felicitate the student members in-charges of various committees. The video for making of Insperia-2017 was shown to all the dignitaries and audience. This video was prepared by student of MCA-II Mr. Allan Mascarenhas. The curtains were down on the Insperia-2017 by vote of thanks proposed by student Convener Ms. Merlin Mathew and Co-convener Mr.Niranjan Manur and ended with the National Anthem.